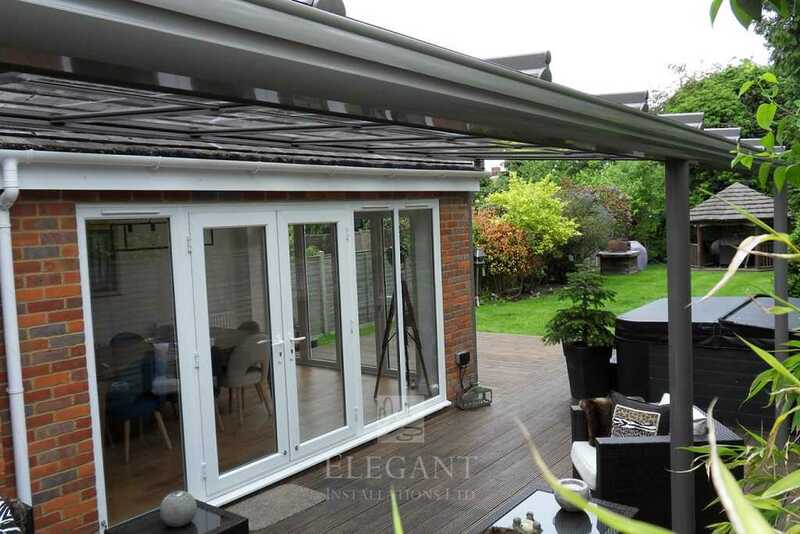 Already fitted with a wooden deck, patio lounging furniture, and complete with a hot tub spa, this Buckinghamshire terrace simply needed a one of our glass verandas to complete the outdoor living dream. 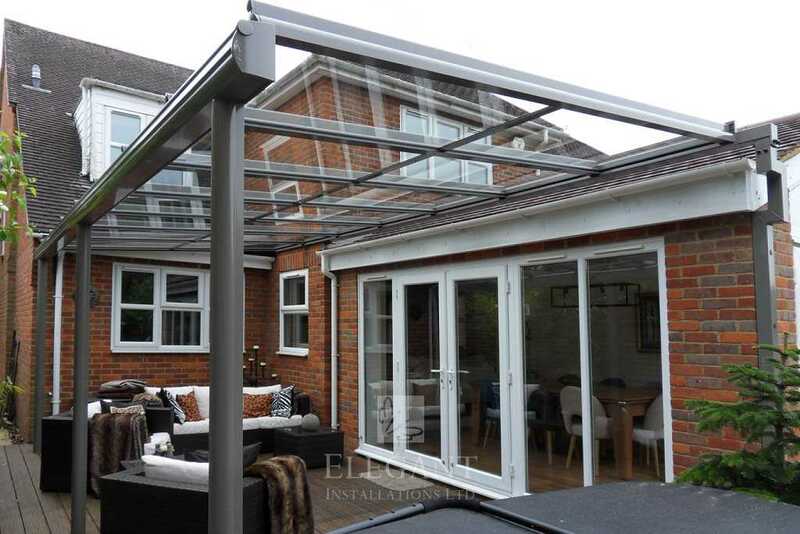 But with only a short run of full height wall, this installation would require our custom made steel brackets to support the veranda above their patio doors. 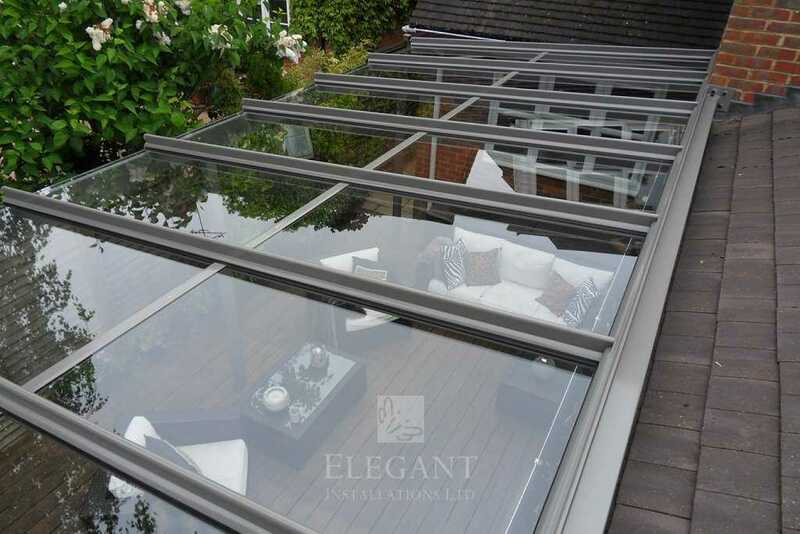 Typically for bungalow use, or for single storey short walls, we often custom design and fabricate gallows brackets and steel mounting frames to overcome tricky situations. 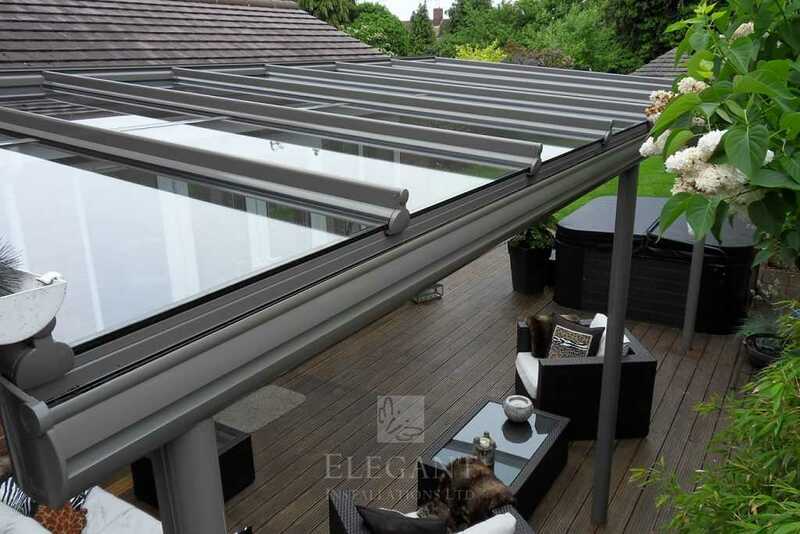 The steel support should run inline with what wall was available, this giving a continuous line to the rear of the glass veranda while supporting its edge above the overhang of their tiled roof – this overhang preventing rain entering at the back. The veranda should be connected to the house gutter at the left-hand end, sealing it from rain, and its leg posts onto concrete pads below the deck which was not designed to bear load. 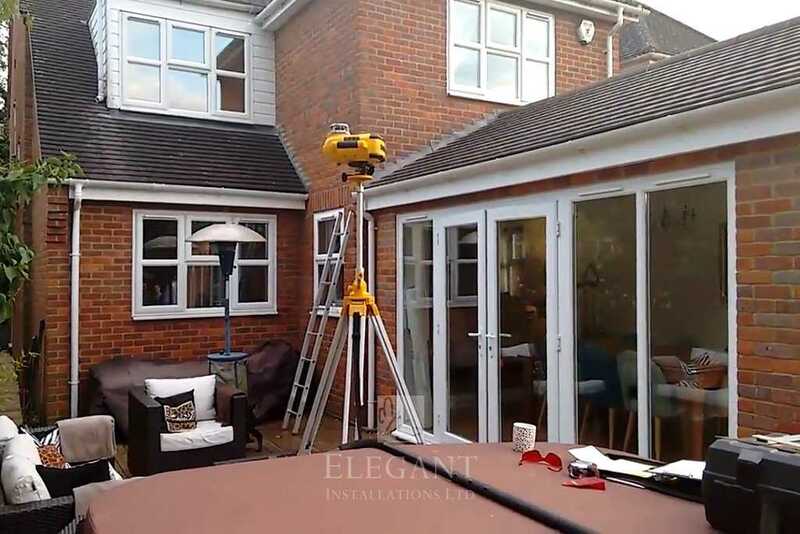 The finished installation has made a superb addition to this Buckinghamshire home. Water drainage from the veranda was hidden, routed below deck to a nearby drain, and the decking rebuilt around the leg posts for a perfect finish. 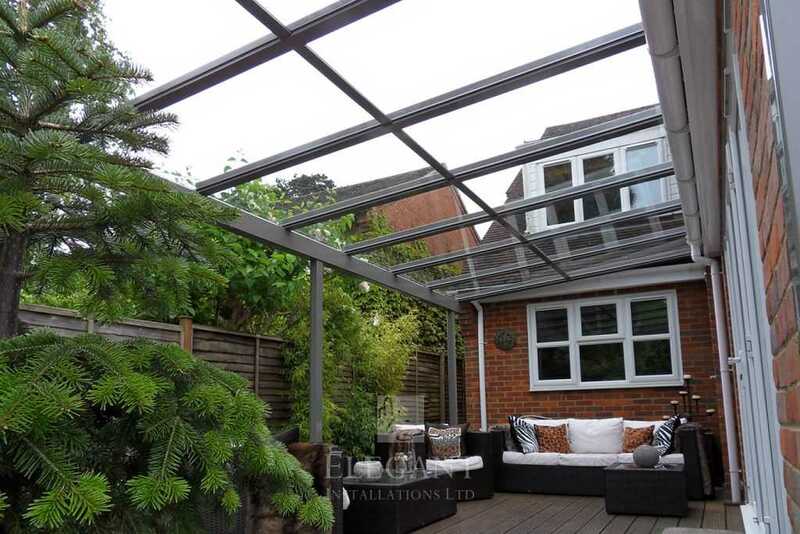 The Peters delight they can now enjoy outdoor living making use of their terrace at all times.